So you’ve read the books, you’ve made promises to yourself, you’ve really tried hard, but you’re still stuck with clutter. You might be feeling like you aren’t meant to live a clutter free life. You’re probably feeling overwhelmed. You’re definitely feeling frustrated. Guess what? Help, real help, is just a click away. 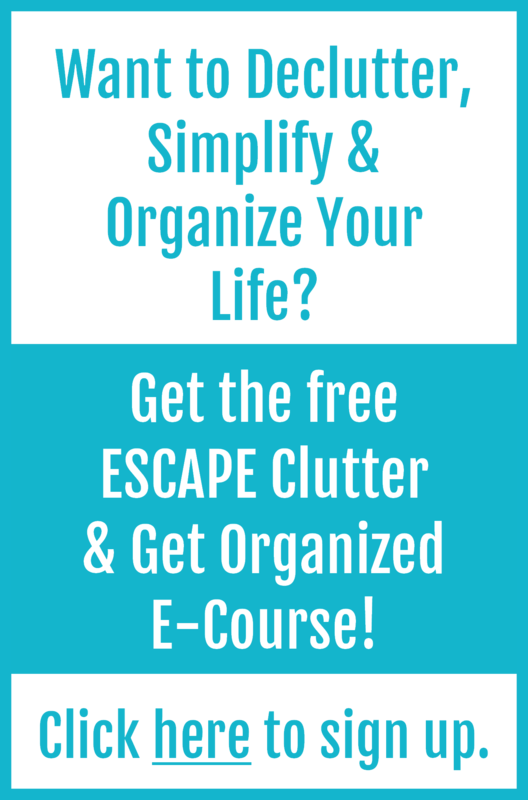 You get access to a professional organizer and clutter coach (yours truly!) who will guide you step by step through the decuttering and organizing process. We’ll get to the root of your challenges so you can create solutions that will work for your unique situation. We’ll do it together through an online workshop that will simplify and break down the process. There are no cookie cutter solutions here. We’ll dive deep below the surface. Everyone is different, so I won’t be directing you to do what I think is best, I’ll be coaching you to find the solution that will truly be best for you. If you’ve always wanted to clear your clutter and gain control for real, this is your chance. Two workshop are scheduled for October: Clutter Control 101 and Paper Organization Made Easy. Clutter Control 101 is perfect for anyone who is ready to create change and really wants to let go of the excess. 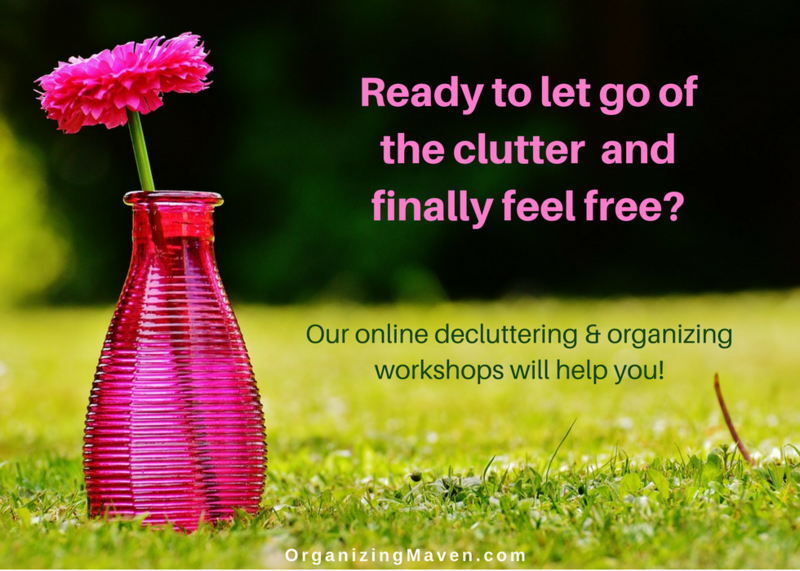 If you’re willing to explore what’s been holding you back and do the work, this workshop will help you become clutter free. Learn more and get the registration details here. Paper Organization Made Easy focuses on helping you clear out the paper clutter and create a system for managing all categories of paper. You’ll learn how to manage the inflow so you never have to worry about the clutter coming back. And you’ll create a system that will work for you, for the long term. Learn more and get registration details here. The workshops are super affordable – just $49! And they come with a satisfaction guarantee. You literally have nothing to lose except all that clutter! Got questions? Drop me a line and I’ll be happy to answer. Not ready to dive into a workshop but would still like some support? Then join our private Facebook group, Clear Your Clutter, Find Your Happy. It’s a great place to find some accountability and ask questions.